We all think we know Bob Marley: the face on the t-shirt, the voice on an album. He's the last king of reggae, and a music legend. But do we really know anything deeper about the man and his life?This was a man who suffered years of prejudice as the child of an elderly white father and who himself fathered 11 children by seven different women. He used to conquer his stage fright by practicing in the local cemetery to sing for the evil spirits and was the target of an attempted murder. We all think we know Bob Marley: the face on the t-shirt, the voice on an album. He's the last king of reggae, and a music legend. But do we really know anything deeper about the man and his life? This was a man who suffered years of prejudice as the child of an elderly white father and who himself fathered 11 children by seven different women. He used to conquer his stage fright by practicing in the local cemetery to sing for the evil spirits and was the target of an attempted murder. All these details and more are featured in Marley, the new documentary from Oscar® winning director Kevin Macdonald, which opens here on Friday. At over two hours it's certainly thorough: it's his definitive life story, the only film made with the blessing and support of the Marley family, and a masterful look at the man behind the legend. Rare archive footage, blistering performances and interviews from those closest to him (family, lovers and colleagues - the likes of flamboyant percussionist Bunny Wailer and production guru Lee 'Scratch' Perry are particular highlights) are combined to provide a closeness to Bob that has never before been achieved. If you can't get in, not to worry. 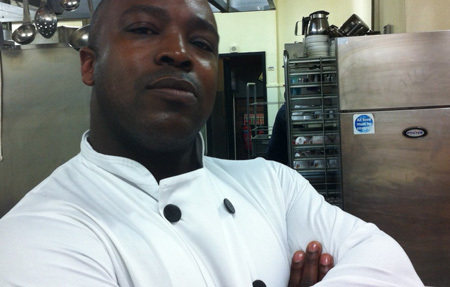 The film screens until at least Thu 3 May and Bristol-born Watershed chef Terry Scaffee has gone back to his roots, getting some traditional Caribbean recipes straight from his Jamaican mum to share with us in the Café/Bar. So throughout Marley's first week expect appearances from classics such as mackerel run down, West Indian curried goat, plantain and sweet potato pie, red bean and split pea soup and salt fish fritters made with cod preserved especially for us by Wing of St Mawes, our ace fresh fish suppliers. The release of Marley comes at a perfect time: this year sees Jamaica, Trinidad and Tobago celebrate 50 years of independence, and plans to celebrate and reflect don't stop here. Seminal Jamaican ska band The Skatalites are making their way to Trinity Centre as part of their 48th anniversary tour in May, and watch out for the return of Sing Your Song on our screens, a reflection on Harry Belafonte's life in music, acting and civil rights, and a visit from the great man himself for Festival of Ideas in June. There will also be screenings of classic Jamaican films, Bristol Archive Records' album launch party for the re-release of singer/poet and Bristol reggae legend Bunny Marrett's I'm Free, and a screening of Voices From Another Part of Town, a documentary made by activists in Bristol's St Pauls shortly after the 1980 riots. Later on in the year look out for Lively Up! Festival with Catch A Fire at Colston Hall, Joe Harriott at St Georges, and a Caribbean focus at Afrika Eye Festival in November.